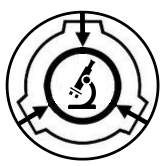 THE PURPOSE OF THIS PROJECT IS TO FIND OUT CHARACTERISTICS AND PROPERTIES OF SCP-1036. INTERVIEWS, TESTS, AND CROSS-TESTS SHOULD BE DONE TO FIND OUT MORE. BY JOINING PROJECT VOODOO YOU MUST STILL ABIDE BY THE TESTING REQUIREMENTS. It's the current research project, so you may do as you please. With permission, of course.